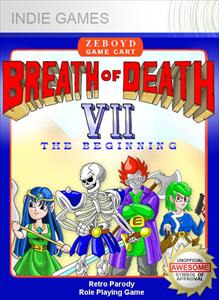 Just the other day I was scrolling through a list of RPG’s on Xbox live when I came across a game called Breath of Death VII It looked really good from the images and I had to try it out, with it being an Indie game and only costing 80 Microsoft Point I wasn’t expecting much but boy was I wrong because Breath of Death VII blew my mind wide open. Basically there was a World War in the year 20XX and a nuclear weapon was created by scientists and was the last and only hope to end the war, luckily the war did end but the effect of the weapon unfortunately wiped out the whole of mankind, it’s not all bad news though because the nuclear effect brought some of the dead back to life but as monsters (Zombies, Ghosts, Skeletons etc). The unfortunates to be brought back in this state built a civilization to live in, all was good until an evil force came to the new land and tried to take over, after hearing this terrible news a skeleton warrior called Dem travels across the land meeting new companions, killing monsters on his way to this dark force so he can defeat it and bring peace back to the land. The graphics are amazing for a game which uses only 8bit, even Final fantasy or the legend of Zelda which are both 8 bit games cant even compete with the visuals Breath of Death VII gives off. 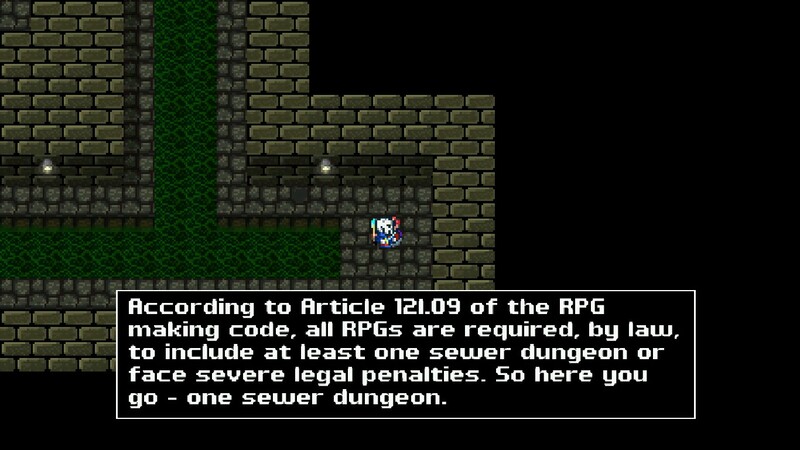 The graphics are so impressive that you could probably find an RPG on the DS which doesn’t look as good. Just look at the visuals they are pretty awesome. 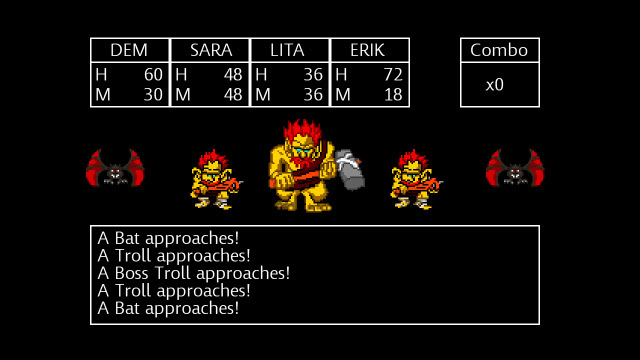 As you may expect from any RPG Breath of Death VII offers a range of different boss battles I won’t give too much away but I will say that one of the more difficult bosses is two tanks you need to defeat, defeating bosses is very similar to normal battles obviously they are much more difficult than regular encounters and they do require some strategy for you to be able to defeat them but once you figure out a good attack pattern they’re not too difficult. 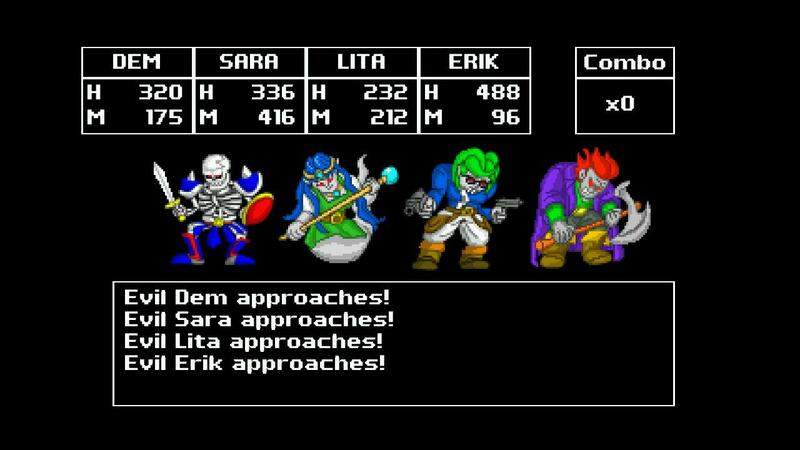 A really cool boss fight in the game is right before the final boss, Dem, Sara, Lita and Erik all need to defeat evil versions of themselves, they are not too difficult and can be defeated easily as long as you know the secret of defeating them, I will allow you to figure that one out yourselves. You’ve finally made it too the end of the game, it’s time to tackle the evil force which is trying to take over the land, it’s time to fight Ultimate Evil I’m not kidding that’s what it’s called its basic but genius since he really is the Ultimate Evil. 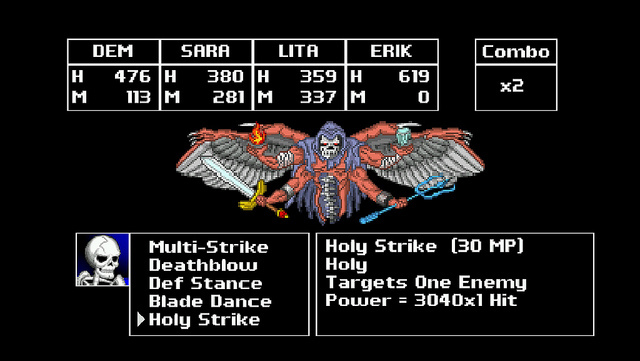 Now with the your Alter Egos being pretty easy to defeat you may expect this guy to be quite easy too but jump to a conclusion because this guy really hard to kill, it took me four attempts with all my characters at level 32 for me to defeat him. 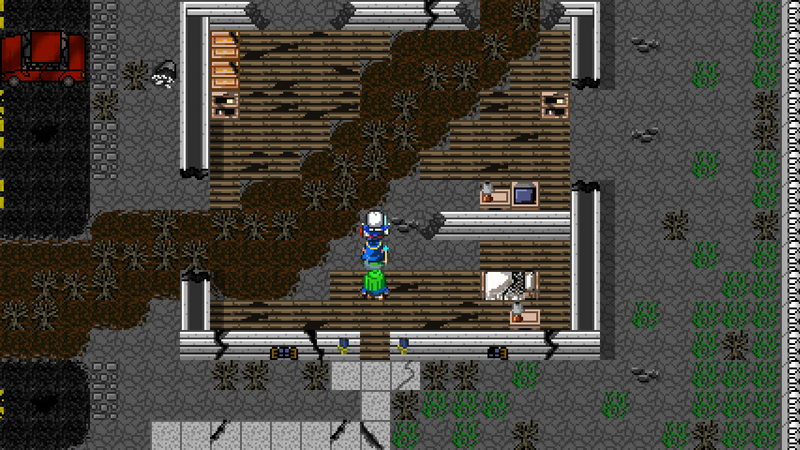 Luckily I figured out a good pattern to defeat him but you figure that out yourselves. I’m not a big fan of Indie games but I feel that this game deserves a 10/10 because it’s a great game and the developers don’t even ask for a lot of money for it they only want 80 Microsoft Points which I believe is 80 pence and for game that feels like Final Fantasy that’s a bargain. I highly recommend getting this game either on steam or Xbox live, Zeboyd Games have made another RPG called Cthulu saves the world but I’m still playing that one and once I’ve beat it I promise I will put up a review. You could definitely see your expertise in the article you write. The arena hopes for even more passionate writers such as you who aren’t afraid to mention how they believe. At all times go after your heart.